How would you describe this episode in a few words or a sentence? Christine: Would the real Tony DiNozzo please stand up? 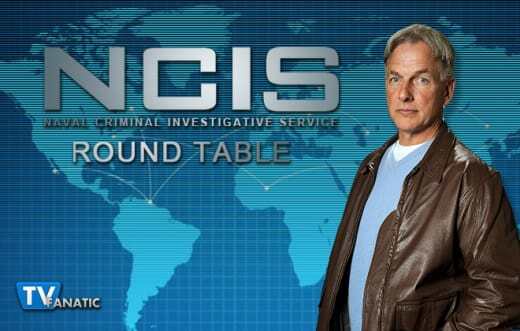 David: NCIS and the case of the phony Tonys. What are your thoughts about the “phony Tonys” case? Christine: They really drove the point home that Tony has no life. He’s stuck in a serious rut with no personal attachments besides his job, his father, and two fish. Obviously this was the start of Tony deciding to leave NCIS at the end of the season. David: I guess it was a way of injecting some levity into a show that's usually kind of intense, but I didn't particularly enjoy the episode. It's pretty obvious that Tony's existential rut is being written to explain Weatherly's/Tony's departure. Kathleen: You two covered my thoughts pretty thoroughly. 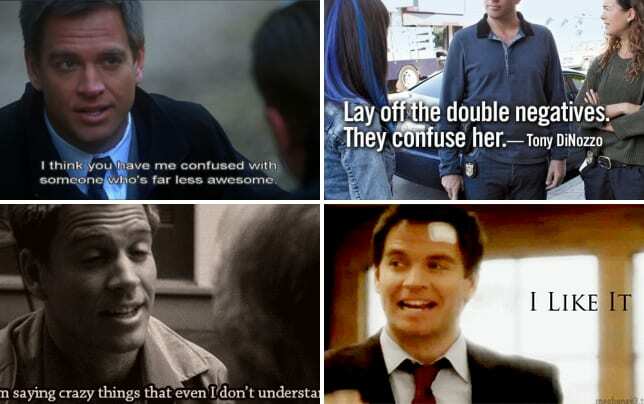 DiNozzo really doesn't have a life, and after so many seasons, it's really starting to become obvious. Doug: I wish we could have seen much more of the phony Tonys. I thought they were hilarious caricatures of the real one. The actors did a great job with it. Were Tony’s self-doubts relieved by McGee’s words of encouragement? Why or why not? Unfortunately, Tony’s not feeling all that special these days. I think Tim’s words helped a little…but not a lot. David: I agree with Christine. Tim hit it out of the park with his support. Kathleen: McGee definitely meant well, and his words were both kind and true. That said, it's also true that Tony is doing the same job he's been doing for the past twelve years, sitting at the same desk in the same office. Maybe McGee's words will inspire Tony to make some changes and actually move on in his life; maybe that team leader position in Rota will come up again. Doug: While the scene was great in terms of getting to the core of McGee and Tony's relationship, I don't believe his heartfelt and welcome words were all that helpful. He even admitted as such when he said he didn't quite understand everything Tony was getting at. I like that they left Tony's questions open-ended and unresolved. He has a lot of thinking to do, and some decisions to make. Abby suggested Tony is afraid of finding “the one.” Is she right? Christine: I think Tony is afraid to put himself out there. Given his parental history, abandonment issues are no surprise but he has to figure out how to risk his heart unless he plans on sharing a basement with Gibbs. David: Well, the twin bed certainly isn't terribly inviting and seems a rather "convenient" excuse for not... um... hosting. He talks a good game, but he doesn't do much about it. Kathleen: It's a big, scary world out there, and it's very appealing to find a comfortable way to face it everyday, as Tony has for the past umpteen years. Finding "the one" would open him up to both change and pain, and as Christine pointed out, Tony has abandonment issues, too. Of course, cocooning himself like he has also has a side-effect of not finding a more profound sense of fulfillment or joy in his life. Doug: I think Abby's right, but it has more to do with his past experiences. He has made attempts at anti-frat boy romantic relationships before, especially with Ziva and more recently with Zoe. But as his success has been minimal at best, there's good reason to want to avoid that scene again. What’s your favorite scene or quote? Christine: Tony commenting that the Ziva fish was putting on some weight made me laugh. I’m not sure what it means that he has fish named after women who were important to him but are no longer in his life, but I loved it. David: I liked Bishop channeling Gibbs in Abby's lab. Her take on Gibbs' impatient "Abby... get to the good part" was spot on. Kathleen: I thought it was pretty funny when Tony was sharing that scene near the end with the two phony Tonys. Too bad they're going to jail! 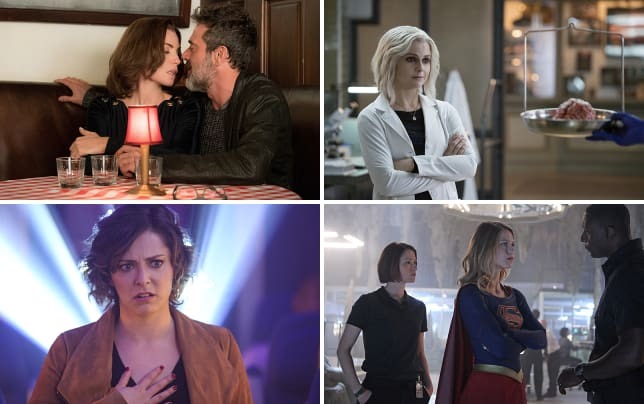 Season Finale Schedule: When Will Shows End?